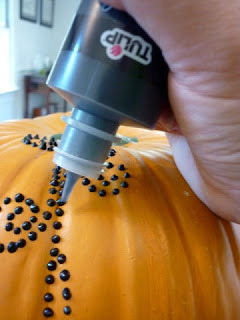 The inspiration came from these pins pinned to my Holidays - Halloween & Fall board. I used Tulip Dimensional Fabric paint in black matte. I also used real pumpkins. They were cheaper than the fake ones at the craft store and I don't have to find a place to store them for next year! 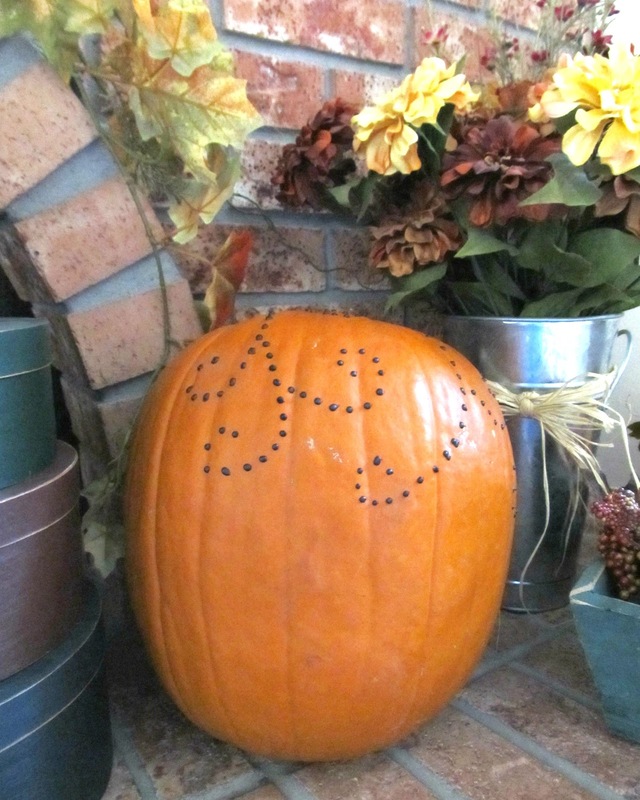 The first pumpkin I decorated, I liked but I thought the dots were too small and didn't show up very well. 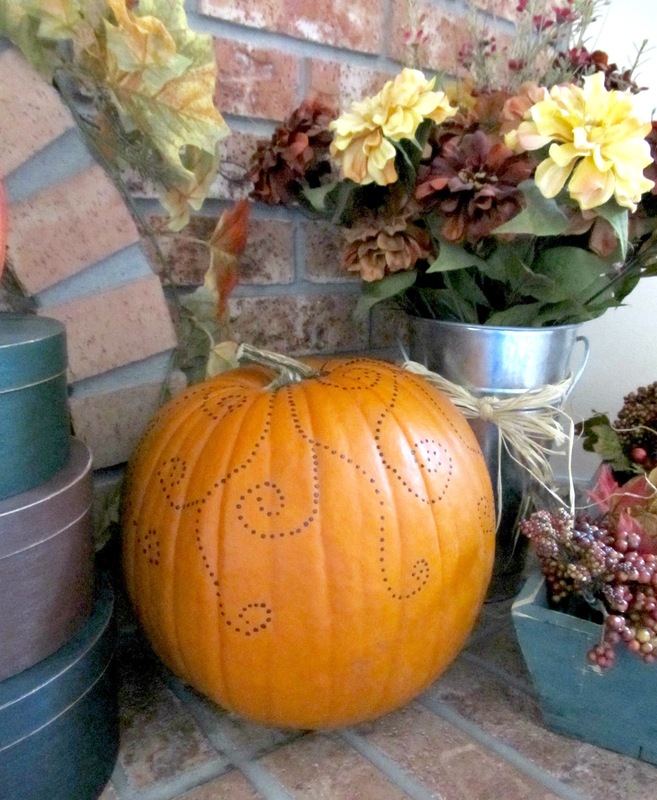 On a different pumpkin, I tried making the dots bigger, but I didn't like it as much. Finally, I decided to add a solid line with the dots and I really liked the way it turned out. It kind of looks like my pumpkin got a a henna tattoo! 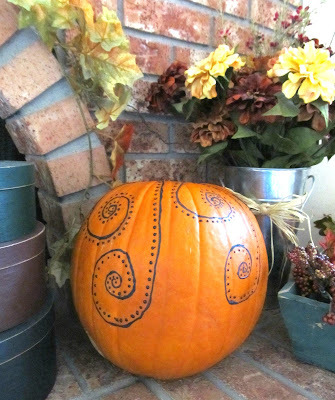 I didn't use a template or trace a design, I just painted right on the pumpkin. If you make a mistake, or don't like it, just wait 24 hours for the paint to dry and scrape it off with your fingernail. The paint comes right off. This project is easy to do and not as messy as carving a pumpkin. Another bonus is that the pumpkins last longer when they're not carved. What do you think? 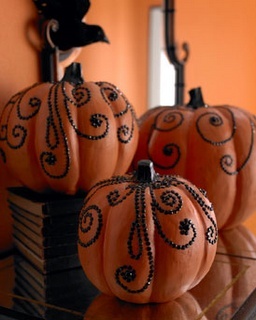 Would you do something different like this to decorate for Halloween or fall? 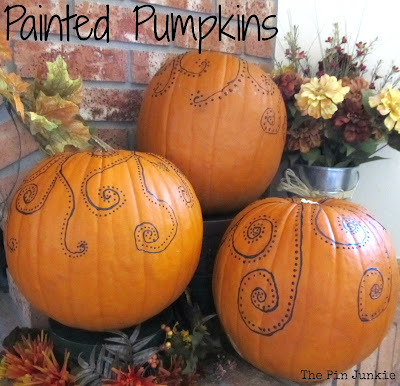 I love those pumpkins! Are amazing! The pumpkins look absolutely brilliant - so stylish! Thanks for the feature Alice!